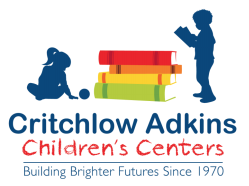 All five sites of Critchlow Adkins Children’s Centers have achieved a Maryland EXCELS check level 5 rating by the Maryland State Department of Education (MSDE). Maryland EXCELS is the state’s voluntary Tiered Quality Rating and Improvement System (TQRIS) that awards ratings to child care and public prekindergarten programs that meet increasingly higher standards in key areas that are identified nationally as contributing to high quality. Thirty states have TQRIS systems in place and nearly all states are engaged in developing early education quality improvement programs. Through a process of continuous quality improvement, Maryland EXCELS programs like CACC’s meet rigorous quality standards over and above those required by State licensing regulations and public school requirements.